Captures the natural beauty of the French provinces and the rich and historical beauty of Paris. Click on box image to view cards. A warm welcome in Bonnieux, an historical hilltop village in the Luberon region of Provence. 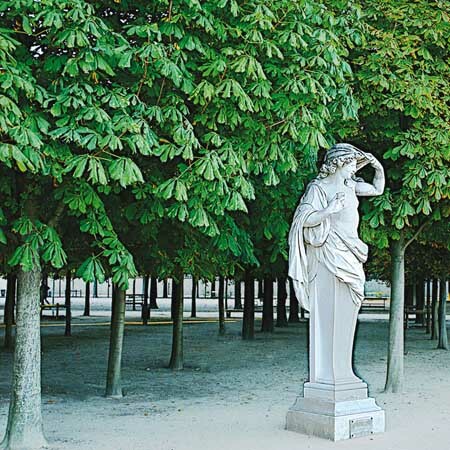 © Millie Brown The tree lined Jardin des Tuileries, Paris. © Millie Brown Collioure, an idyllic village situated on the Mediterranean coast close to the Spanish border. © Millie Brown The arcades surrounding the luxurious garden of The Palais Royal, Paris. © Millie Brown Fishing boats in the colourful seaside town of Sanary-sur-Mer in the Var region. © Millie Brown The majestic 19th Century Fontaine de L'Observatoire, in the Jardin du Luxembourg, Paris. 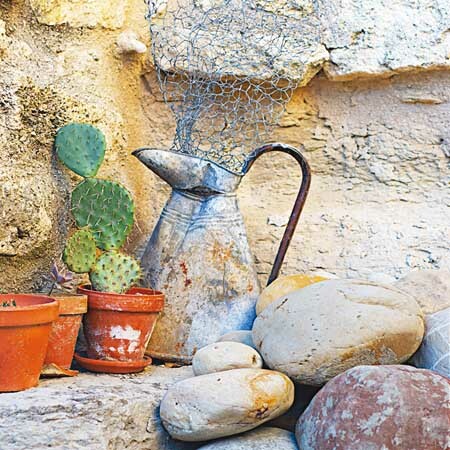 © Millie Brown A still life of earthy colours in Roussillon, Provence. © Millie Brown A winter afternoon in Paris, strolling the banks of the Seine. 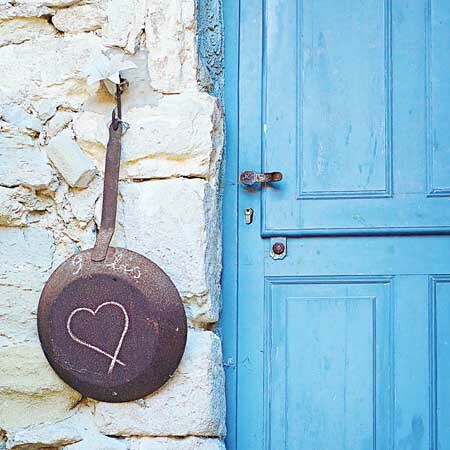 © Millie Brown A precious Angel tucked into the old wall of a provençal farmhouse. peninsula, from Florence down to the island of Sicily. Reflections in the Arno River, Florence. Posing in Venice at the annual Carnival. © Millie Brown The imposing statue of Neptune stands in the Piazza della Signoria, Florence. 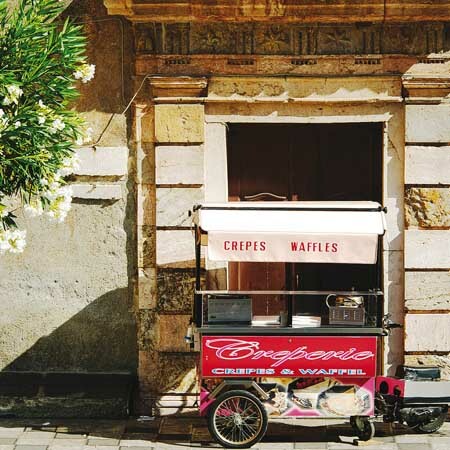 © Millie Brown A quiet moment at the waffle stand in Taormina, Sicily. © Millie Brown The stunning colours of Vernazza, one of the five villages of the Cinque Terre. © Millie Brown Venice, a city of mysterious beauty. © Millie Brown A culinary war of words,Venice. © Millie Brown Beating the heat of a Sicilian summer in ancient Siracusa. 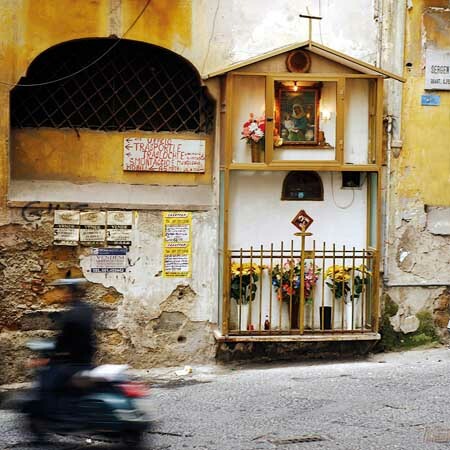 © Millie Brown Vespas and the Madonna mix it up in the back streets of Naples. Card front features a colour photographic image framed with a 15mm white border. The back of the card is blank and includes a small image title. Box and cards printed and designed in Australia using environmentally responsible carbon neutral print and vegetable based inks. Cards printed on Carbon neutral paper from responsibly managed forests. Prices include postage. All orders will be despatched via Australia Post immediately upon receipt of order. All boxes will be suitably protected to ensure they arrive in perfect condition. For Australian orders please allow up to 7 business days for delivery. For international orders please allow up to 10 days for delivery. The designs and images on this website are coyrighted. All rights are reserved. Any reproduction, copying or downloading without permission of the respective owner is a violation of the law and is prohibited. Subject to the Copyright Act 1968 (Australia).